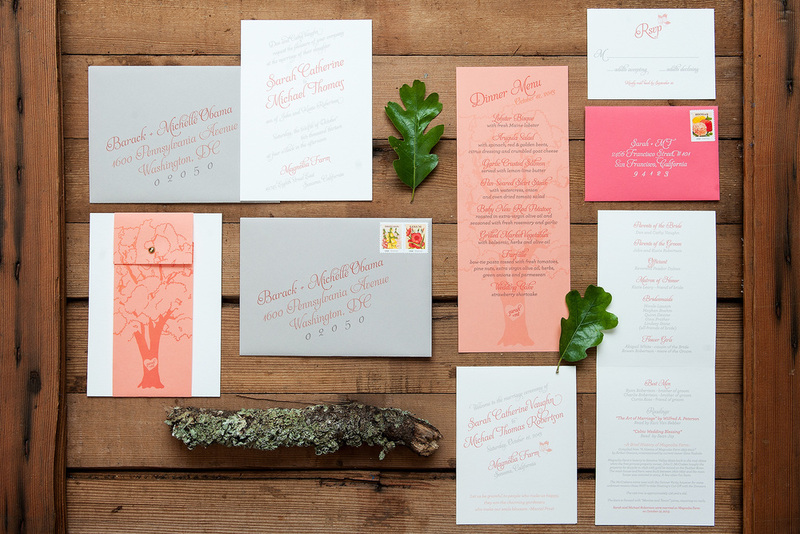 The stage for this wedding was set by the ancient oak trees of northern California. 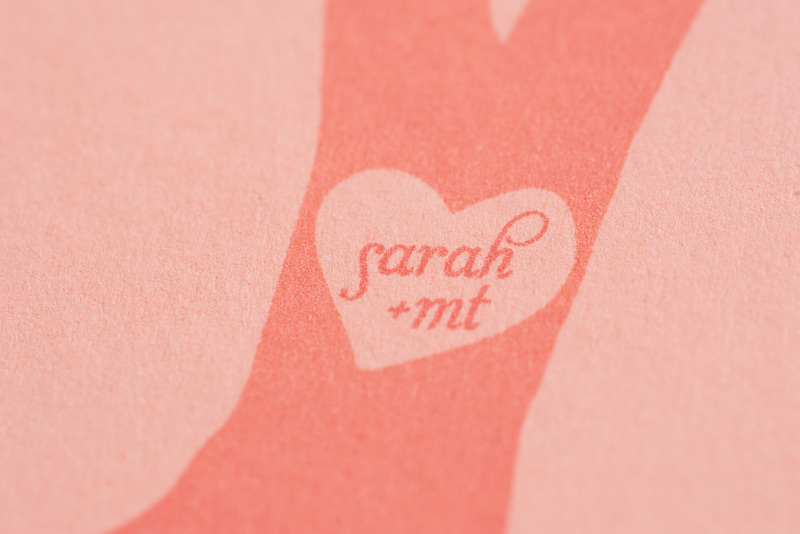 Flat printed on cotton paper in shades of coral, peach and pale grey, this suite integrates casual elegant typography with a watercolor illustration of the actual tree that the couple said “I Do” beneath. 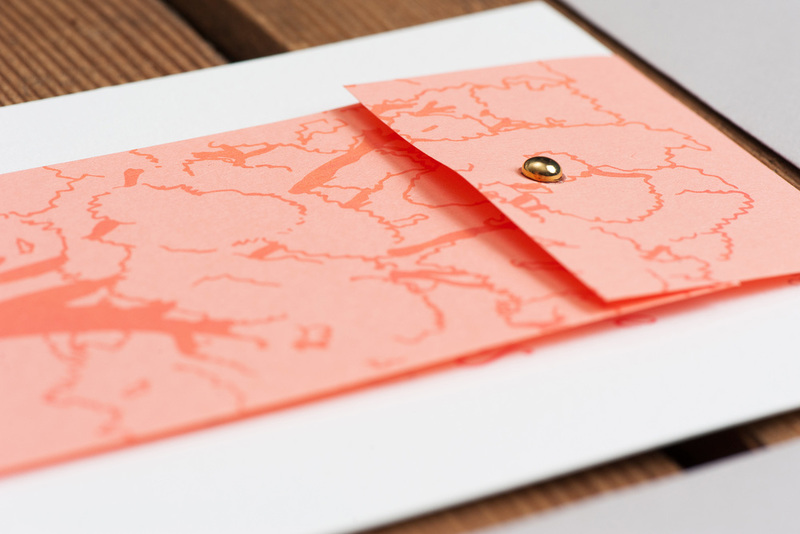 The Invitation Suite featured a wrap-around band fastened with a gold button and Day Of Materials included Dinner Menus, Programs, Thank You Cards and Wine Labels.